What is the best grammar checker software solution for 2019? The best grammar checker software solution is Grammarly. This language tool allows you to avoid errors in punctuation, spelling and grammar, and to project a more professional prose tone and style while helping you out of embarrassing composition mistakes. Powered by an intuitive and powerful artificial engine and with a wide array of plugins, the app helps you communicate with confidence over email, messaging and chat platforms, social media and word processing applications. Whether you are writing for professional publications or communicating with your superiors, colleagues or family and friends, what you want to say is best dressed in clear, coherent language. Business deals could come undone with the slightest mistake in the choice of words, as could relationships. How many times had we wished that we could take back those sent emails, messages when upon later review we discovered spelling or grammar errors? Even the best writers are not immune to those moments. Grammar checking solutions, which have become very powerful, are proving to be key to avoiding these embarrassing situations. More importantly, they do not cost you both arms and leg: in fact, many of them are offered for free and you can use them right away. In this article, you’ll find 20 of such grammar checker software solutions, the best in the field based on our analysis. Our experts have taken into consideration a number of factors, foremost among them that of the strength and usability of the applications’ features, whether they make sense in terms of pricing for the everyday person or employee and their accessibility, among others. Unlike other applications, language tools are notoriously more open to any number of approaches and interpretations, which means that most often you will find quirks in some of their suggestions—hence, you need to carefully select the ones that also reflects your own preferred style. There’s also the matter of whether the application works with your word processing, email client, or web browser of choice, or if you need to install it on your desktop system. Consider what works for you and note down other features that might prove important to you. 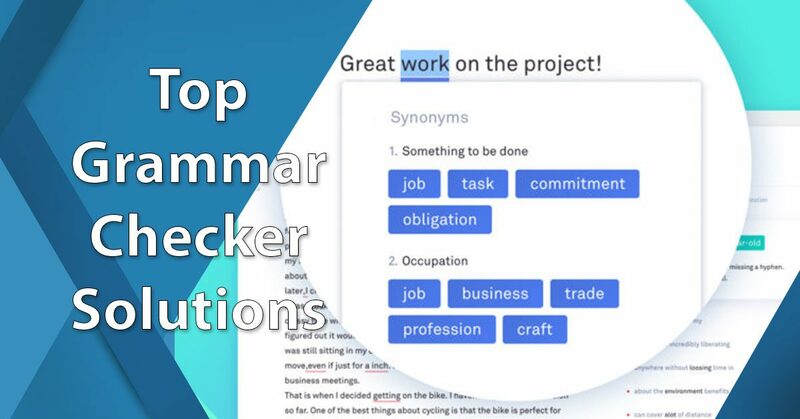 What are the 20 best grammar checker software solutions for 2019? There are a number of good reasons we are currently seeing a marked increase of ESL institutions and grammar checker software all over the world. One that easily comes to mind is the rising demand for English competency among non-English speaking countries whose own people are seeking admission to higher education in English-speaking nations and the publication of professional dissertation papers related to their respective disciplines. English proficiency also offers businesses a range of benefits. This is not lost to multinational big shots in as diverse an environment as SAP, Audi and Samsung. They all have made English as their official business language. These companies are seeing increased collaboration among their global teams and better global market reach using English as the common tongue. Not the least integrating foreign acquisitions is smoother this way. From the foregoing discussion, it makes enough sense, then, for us to score these grammar check offerings that are hitting the market and compile this 20 best grammar check software solutions to help you decide which one suits best your needs. We considered accuracy, ease of use, pricing and other key factors to come up with this list. But even us native speakers in the U.S. would do well to use a grammar checker if writing isn’t our professional training. To cut to the chase looking for that perfect app, you can start with this list. From the time Grammarly was launched in 2009, it has steadily expanded its accuracy and capabilities, and users have paid the company its due, being consistently ranked at the top of the pack of grammar checking software lists. When Grammarly calls itself the “world’s most accurate grammar checker,” hardly anyone disputes it, including us; hence, it tops our top 20 grammar checker software solutions list. Thus, it will probably require some herculean task or a totally revolutionary piece of language editing application—quantum editing AI, anyone?—to dislodge Grammarly from its current leading position. This app is available for free, so you can easily get hands-on experience with it at no cost. You can sign up for Grammarly here. What is unique about Grammarly? Grammarly everywhere. For sheer convenience, there’s the matter of Grammarly’s seeming omnipresence: it’s available as a dedicated desktop application in Windows and Mac OS, as application for iOS and Android, or as extension for such popular browsers as Chrome, Firefox, Edge, Safari. You could also install it as an add-in for Microsoft Office on Windows, and lately as mobile keyboard for Android and iOS. Accuracy: rising above competition. Grammarly’s current form is such that it simply edges out all the competition in terms of accuracy, catching more errors than the next best solution could manage, while giving the user either basic or more advanced interface options. Thus if you’re a client pressed for tight deadlines, you’d love Grammarly’s no-frills quick option, but if you have time in the world and want to gain deeper insight into the nuances and mysteries of the English language, you’d find the advanced option a decent way to brush up on those weak areas of your English composition skills. Excellent support. To optimize your experience with Grammarly, you can reach out to its highly proficient support team or join the 10 million-plus user community and share your experience. Reverso’s unique proposition involves grammar and spellcheck services not just for English but also for other major languages of the world: Spanish, French, Italian, German, Polish, Russian, Arabic, Hebrew, and many more. To use Reverso, you either type or say what you want to translate. In seconds, Reverso then generates the result in the language you have selected. What is unique about Reverso? Expansive language tools. If your language needs are more intense, you will be happy to know that Reverso easily goes beyond basic dictionary content and conversion functionalities: it offers specialized business, finance, medical or technical terminologies. You could prompt Reverso to pump out idioms, conjugated forms, and reverse translations. Professionals most likely will appreciate this functionality as with it, they need not worry if their context or pronunciation is correct. Nimble translator. If you are a frequent traveler, you have probably run into a few dire situations wherein you need to make a few critical purchases, only to be stumped by a local salescrew who hardly understands what you are trying to say. A couple of seconds in Reverso should get you the right translation you need, to go with pronunciation to make the crew wonder how you came to sound like a native speaker all of a sudden. Intuitive, powerful, accurate. While Reverso boasts of being a powerful and accurate translation platform, its ease-of-use makes it suitable for beginners and professionals alike. The application is intuitively designed so that individuals can enjoy using it. Master foreign languages. Softissimo, Incorporated, should tell you that is exactly the point of their nifty little software: to transform anyone into a master of any foreign language in no time, starting with the most relevant examples so you should be able to read, write, and speak your new host country’s lingua franca. If nothing else, it should give you the confidence to explore places more and not elect to spend the entire time camped in your hotel for fear of getting lost somewhere. The first thing you will notice about the native Ginger interface is its close resemblance with Microsoft Word. All semblance of similarity, however, just about ends there, as while Word will not see anything wrong with a sentence like “I lick to reed a camel,” Ginger will promptly see through the relevant context and reformat the sentence as “I like to ride a camel.” The original line makes for a direct spot in some dark humor forum, while the corrected one enables you to breathe a sigh of relief and to salvage some measure of legitimacy in your budding writing career. What is unique about Ginger Software? Reasonable price structure. As with other entries in our top 20 grammar software solutions, Ginger comes in a free version featuring definitions, Ginger for browsers, and translation. Premium packages come in monthly, quarterly, or yearly plans, enabling such advanced features as unlimited grammar checker, sentence rephraser, mistakes practice, and error analysis. Translate to 40 languages. Aside from checking your grammar and spelling errors in real-time, Ginger can also translate to forty languages, which should give you fun trying to hold conversations with people who speak different languages. Built around proper context. Extracting proper context is the heart and soul of Ginger, an invaluable tool for those embarking to learn and master the English language. Its robust algorithm is also surprisingly excellent at catching nefarious spelling errors, which should save you face many times over and perhaps your day job too. If addressing proper context and blatant typos are your main concern, plagiarism should be the last of your worries, and Ginger agrees with you, the company electing not to include the feature in its program. Ginger works well with Microsoft Word, Outlook, Internet Explorer, and Powerpoint. It offers Android and iOS platforms, as well as browser integration. Using a unique technology called Natural Language Processing, WhiteSmoke combines artificial intelligence and sophisticated algorithms to detect a wider range of wording and phrasing errors. All that intelligent muscle should take care of more grammar, spelling, punctuation, and stylistic issues. What is unique about WhiteSmoke? Scoring your progress. You can use the application’s writing score feature displayed using a colored bar and plain words like “poor,” “fair” and “excellent” to describe your work, based on how many errors there are in your writing sample. This feature set goes beyond what is offered in typical built-in grammar checks of writing programs. It’s quite handy for newer English speakers, to enable them to see their progress clearly. Multiple platform support, templates. WhiteSmoke covers all the relevant platforms that matter: dedicated desktop application, browser integration, and Android and iOS implementations. To further separate itself from the pack, WhiteSmoke gives its clients a hundred templates for business documents, a handy time-saving extra feature. Flexible pricing schemes. WhiteSmoke offers essential and premium payment schemes in monthly, yearly, or three-year plans. Writing assistant and other tools. WhiteSmoke offers a rich set of tools to improve your writing, including free writing assistant for people with dyslexia, translator, free toolbar download, along with several blogs that discuss writing tips and general rules for the English language. The open source sector is well represented in the grammar checker software scene through LanguageTool, which can be used as a plugin for Chrome, Firefox, LibreOffice, OpenOffice, as standalone dedicated desktop application, or as an integrated program on websites. With some 14 years behind it, LanguageTool is no slacker too, and it has become widely recognized in the industry to merit premium and enterprise plans to go with its free package. What is unique about LanguageTool? Use as stand-alone, extension or add-on. Use LanguageTool as an add-on or extension for Firefox, Chrome, Google Docs, LibreOffice, or Microsoft Word. The MS Word add-on enables users to check their text directly in Word. Users will see highlighted incorrect entries and they could just click a suggested correction to replace the original ones. Personal dictionary in any language. Central to LanguageTool is its personal dictionary feature, which you can fully customize and expand with entries from all the languages it supports. This fully expands the grammar and spelling capabilities of LanguageTool in any language that you choose to work on. Words added to the personal dictionary are treated as exceptions to LanguageTool’s grammar and spelling rules. Rules that you don’t need you can easily disable so you can focus only on the ones you actually require. Multiple language capability. What separates LanguageTool from the competition is its capability to check grammar and spelling in 31 languages. And what it does it does quite well: many users swear that LanguageTool fixes so many grammatical errors no other programs can detect. If you want to see for yourself, you can download the software and test-run its full capabilities before you decide to engage its premium or enterprise plans. If you want to know if what you’ve written is worth full publication or the trash bin, PaperRater will be more than happy to do it for you. And it does so in seconds, using artificial intelligence and its zippy flavor of data science to quickly scan for grammatical and spelling errors in order to score your output. With its plagiarism checker, PaperRater will also save you the potential embarrassment of someone else claiming original credit for a hefty chunk of your work. What is unique about PaperRater? Flexible plans and pricing. While the basic version of PaperRater will give you functional capabilities, the premium package allows more submissions per month, lessens restrictionthe on number of plagiarism checks per month, gives you an ad-free version, enhanced plagiarism checker, faster processing, and other advanced features you will need. If you have a strange tendency to use wordy sentences, drive away readers by employing dull or complicated words, have a standing fetish for adverbs and an unhealthy fascination with passive voice, you have a lot to gain by accessing Hemingway Editor online, or by simply installing the stand-alone desktop version. What is unique about Hemingway Editor? No more copy-pasting between text editors. You also probably hate the tedious process of copy-pasting between text editors, so Hemingway enables you to skip complexity and import text directly from Microsoft Word and other word processing programs. It also works the other way: once you are done, you can opt to save your output as PDF or MS Word document file. Improve writing style and inviting to read. Once you do and run the application, Hemingway rises from the grave, scores your work, and admonishes you where you have got it all wrong in terms of your cloudy writing style, reliance on overly complex words and phrases, and suggests using powerful words in place of weakening adverbs and overly flat and passive voice all over your manuscript—all using color-coded highlights. What is unique about ProWritingAid? Word treasury. To add to its compelling value, ProWritingAid packs an enormous tool in Word Explorer, a comprehensive library featuring a thesaurus, dictionary, reverse dictionary, collocation dictionary, alliteration dictionary, cliche dictionary, rhymes and usage examples from poetry, prose and songs. Such wealth of information not only enables you to improve readability, it also expands your vocabulary. Users describe this unique functionality as very intuitive, generating only suggestions that sits well with the entire working manuscript’s context. Comprehensive package. ProWritingAid flexes its codes to address vague wording, repetitiveness, excessively long sentences, sort out complicated sentence constructions, over-reliance on passive voice and adverbs, among others. After tracking these issues, ProWritingAid will then allow you to generate reports to help you identify those areas you tend to commit errors. You will not need to search elsewhere to demystify those reported issues: ProWritingAid will furnish the explanations right there for you to set you on your way to improving your writing skills. Flexible pricing. ProWritingAid comes in a free version, premium version, and premium-plus version. The free version is strictly online only, limited to 19 writing reports, 500-word edit at a time, with a summary report of key issues. The premium version, at $50/year, is all the free version with no word limit, offers a desktop version, and integration for MS Word, Google Docs, Chrome, and Scrivener. The premium-plus version can be had for $60/year. It is all the premium version with 50 plagiarism checks per year. Sufficient integration. With support for Windows and Mac OS, integration is not an issue with ProWritingAid.  If you are used to the other entries of our top 20 grammar checker software solutions list with all their bells and whistles, you can be forgiven for assuming that the utter simplicity of OnlineCorrrection.com makes it the lightest weight and so-so package of the lot. What is unique about OnlineCorrection.com? Absolutely free. Best of all, OnlineCorrrection.com is absolutely free—but you need a stable internet connection, of course. Oh, and OnlineCorrrection.com has program counterparts in other major languages: German, French, Spanish, Polish, Portuguese, Italian, and Russian. High praises. The minimalist design, straightforward operation, outstanding report feature all contributed to OnlineCorrrection.com earning not a few praises everywhere. If you are a fairly confident of your writing capabilities, this little gem of a program might be all you need especially if the next deadline is already staring you in the face. Powerful engine. Excuse the cliche, but don’t let looks deceive you: beneath the straightforward appearance of OnlineCorrrection.com is a sophisticated algorithm powered by Hunspell, DICTION and LanguageTool. As such, that simple text box on their website is capable of spitting out results highlighting spelling errors, basic grammar mistakes, as well as suggestions to improve content via alternative vocabulary and sentence structure. No trace. The application even destroys every content that you submit within half an hour in case you harbor some creepy feeling someone is stealing your original ideas. Another online grammar and spelling checker is SpellCheckPlus, best described as a helpful tool for students who are after learning English as a second language. The service helps both teachers and students pinpoint errors in the students’ writing, commit the students to learn from those mistakes and be better at writing in English. What is unique about SpellCheckPlus? Patience with errors. SpellCheckPlus doesn’t overwhelm students with excessive errors, allowing users to fix one error at a time. It’s about process-based learning, a teaching strategy wherein students learn to solve issues or problems step by step. Versions. SpellCheckPlus is free only up to 2000 characters. It is not enough to check most documents, but enough to alert you that you might want to look at your piece of writing once again. The paid version that removes restriction can be had for $14.99 good for year’s use. It also provides a detailed summary of errors. Even then, you will be well advised to accept only those suggestions that make logical sense. Even with all the spate of grammar checking tools sprouting all over the place, it’s probably safe to say no self-respecting writer would stand behind all the corrected output returned by any of the software packages out there. Grammar Slammer would like to take the exception to that road, and it might just have found the way considering the high trust it garners from its users. What is unique about Grammar Slammer? Reasonable pricing. Even with all that high rating from its users, Grammar Slammer refrains from pricing their packages exorbitantly. The software versions are available through one-time payment at $25 for the Grammar Slammer, $39 for the Grammar Slammer Deluxe, and $49 for the Grammar Slammer Deluxe with Checkers. Highly-rated solution. Trust and confidence in the software-generated modifications is backed by Grammar Slammer cleverly pointing out that the changes it committed are in strict compliance with grammatical and syntactical rules. This is important because if as an expert you could barely make out head and tail about the issue in question until you finally see the light via the software’s authoritative and logical explanation, then it figures other language authorities will most probably agree with the software defense. Solid online help. All that air of authority is complemented by an online spread that starts users on the deeper intricacies of English grammar rules so they can steer clear of making similar mistakes in their compositions. There is a question and answer section that provides a straightforward explanation. One of the most concrete confirmation of the converging global economy is the upsurge of ESL institutions in many parts of the world. The Chinese, the Russians, the Poles, citizens of the Baltic states, the Koreans are lining up to enrol in the few establishments offering ESL in their own lands. Most of the time there are just not enough of them around, so enterprising developers have turned online to provide an alternative option to cater to this growing sector. They generally fall short of the real thing, but having them around are definitely better than nothing at all. As complement to the real thing, they actually offer great value to their clients. Virtual Writing Tutor, for example, covers enough ground to give actual tutors a run for their money. The huge number of features it offers—check spelling, check grammar and punctuation, check paraphrasing, improve word choice, self-assess the use of target structures, and master English pronunciation—would probably convert to a few actual months enrollment time in a physical school equivalent. What is unique about Visual Writing Tutor? Conversational English versus Academic English. Real ESL schools never fail to teach students to learn to differentiate between the use of conversational English and academic English. Visual Writing Tutor does the same by pointing out that words like “buy,” “eat,” or “wear” are best used in everyday talk, while more formalistic words and tone are best applied in academic speak and compositions. Avoid Cliches in favor of power words. Cliches are the bane of English writers, and Visual Writing Tutor makes sure you don’t forget that, steering you against overused expressions to make your content more interesting. To push you in this direction, the program has incorporated a cliche and power word checker tool. Someone somewhere has probably made a compendium of cheeky renditions by Microsoft Word’s proofing tool, but for many night owls who have spent countless intimate nights with the application, such are the foibles of an old friend who refuses to play out of character, ever. We snigger, but it’s what we do with childhood mates we have grown especially fond of over the years. Mavericks are of course not easily fooled. We know that deep underneath that grumpy character is a beast that has withstood more competitions than anyone could account for, adding layers of functionalities that finally rendered the others redundant. What is unique about Microsoft Word? Robust formatting tools. While major media companies will opt for more dedicated formatting programs, for many others Microsoft Word’s formatting capabilities often prove capable enough to meet their needs. Those who are more familiar with its formatting tools would swear they could adjust paragraph alignment, change kerning, line spacing and font attributes, create bulleted and numbered lists, add headers and footers, and insert items in a document such as pictures or tables just as well as they could with the best page design tools in the market. Search content and add citations. Without leaving the program, you could pull in relevant information and content from credible web resources. The Researcher feature would make sure you add proper citation if the occasion calls for it. Any text or image you added can be updated in your existing library. Mention Microsoft Word nowadays and most probably Google Docs lurks around in some other corner of your mind. And it works both ways. Never mind that Google Docs is a purely web-based application, quite convenient if you don’t have access to a desktop word processor. The two programs have become inseparable in so many ways it’s a good thing you could move elements between the two applications sans hassles most of the time. What’s unique about Google Docs? Collaborative editing. “Collaborative” could just be the Holy Grail of any human interaction these days, and it proves well in the case of Google Docs. The application itself has its own built-in proofing tools—grammar or spell checker—but its true power lies in how it enables multiple users to polish off any document as needed. Comments and suggestions could be reviewed, rejected or accepted as necessary. If those are not enough, chat with any participant in real-time for added dimension. An application name like Slick Write certainly brings back fond memories of WordStar and XyWrite days for those who have been around like this old-timer here. If it’s not the nostalgic value, Slick Write has another gem up its sleeve to tug at the heartstrings of word crafters—bloggers, writers, novelists, SEO professionals, and students—everywhere: a feature to take care of the old devil itself called the writer’s block. What’s unique about Slick Write? Granted GrammarCheck is best suited for non-professionals and is unabashedly entry-level compared to other members of the list, it does not mean its proofing capability is puny. Not by a long shot. Once you hit the “Check Your Text” button, you can sit safe in the knowledge that it’s not some clueless cave shaman who pulled off some crude crystal and divined the clouds above who would serve you but After the Deadline, an open source program that utilizes artificial intelligence and natural language processing technology to identify errors in your writing. We mentioned WordStar and XyWrite earlier, but Corel made sure WordPerfect Office X8 would not join its near-extinct contemporaries by expanding, updating, and enhancing WordPerfect Office with compelling features to make sure business professionals, academics, and others would keep the application on their radar. What’s unique about WordPerfect Office X8? Enhanced features. There was a time when software developers would do anything to protect the turf. That time is no more, and users today would never know how it was when software interoperability was like some thick wall covering Fort Knox; instead, they live in an ideal world where compatibility is the default mode, and WordPerfect Office X8 suits the bill just fine, ensuring the program works with various Microsoft Office programs aside from 60 more file formats from other word processors. Another free web-based application, SentenceChecker.org specializes in catching those wayward sentence fragments that could spell disaster for student theses, professional dissertations, and other academic and business papers. This unique feature of course goes on top of standard grammar and spell checker. You could also have SentenceChecker.org check your work for plagiarism threats. Straighten out sentence structure. If you tend to mangle the structure of your sentences, SentenceChecker.org will bring up those sections in question so you could apply the proper subject-verb agreement, parallelism, as well as the correct word choice that you missed the first time. Minding the fragment minefield. Eliminating fragmented sentences should leave professional and student writers with one less major headache to fret about their works. Fragmented sentences come in many flavors and forms to render detection a fairly tricky affair, especially if you are dealing with an already lengthy and complex material. SentenceChecker.org designed its software to sort out this kind of mess for you, taking out lonely verb fragments, subordinate clause fragments and appositive fragments, for example. Fixing essay. You are trying to say something but you’ve lost it somewhere with confusing use of grammar and choice of words somewhere. SentenceChecker.org goes over what you have done, gleans the meaning, and sets all of right without costing you your original message. Add After the Deadline to your free grammar check arsenal in case you suspect your document still hosts language errors creeping undetected somewhere. The Open Source AI and natural language processing technology in its innards should tell you it wouldn’t be doing a bad job of what it promises to do. What’s unique about After the Deadline? Standard fare but compare. Nothing in the After the Deadline website to tell you about unique features you won’t find anywhere else, but it shouldn’t mean it will produce exactly the same results as the rest of the entries here, especially those that are similarly offered free. The best attitude is to test-run the application to your own standard of satisfaction. Manifold platform support. After the Deadline is available on WordPress.com as well as in libraries, plugins, add-ons, and extensions for a variety of platforms. Again, it’s not exactly unique in this respect, but such application flexibility is always welcome for any user. Textly.ai is a writing assistant that leverages the power of AI to rid any traces of grammatical errors and help writers deliver a better piece overall. This software uses over 2,000 context-based rules for more accurate contextual corrections on spelling, better alternative words, and sentence structures. Additionally, it keeps track of a user’s writing habits to provide better suggestions on how to improve one’s writing. Textly.ai is suitable for any industry, whether it’s for personal or business use. With this software, both new and professional writers can deliver both short and long outputs with confidence while avoiding elementary errors. Users can also take advantage of the software’s statistics module to monitor writer performance and gauge their progress. Performance monitoring. Team administrators can effectively gauge a writer’s performance through its statistics module. With this tool, an administrator can track the mistakes a writer has committed and their improvement over time. Large database of typos. Making simple typos is a thing of the past with this writing assistant. Textly.ai has over 9 million list of typos in its database to provide users with the right corrections. Contextual recommendations. It monitors a user’s writing tendencies in the articles or documents that were written in the past and at present. These are then stacked against over 2,000 context-based rules to provide you with the appropriate recommendations that can improve your writing output. While your search for the best grammar checking solution has gotten more flesh with this piece, it still pays to take that one last, and most important, step: try the software for free. Most of these applications do provide one. Grammarly, for example, is readily available as a Chrome extension and a plugin. You can simply sign up for Grammarly here. Grammar checker applications also work on some document software. If you want to see which ones work best with them, you could check out the leading document management systems in the market.